Double double, toil and trouble – today FarmVille players are in for a frightfully delightful surprise as the creaky gates of Haunted Hollow have opened for early access. Inside FarmVille’s Haunted Hollow lies a world of haunted mansions, gargoyles, witches and bats just waiting to be unlocked. Upon entering players are welcomed by Lillian the witch and her sorceress sisters, Belinda and Rose. The three witch-sisters and co-mayors of Haunted Hollow need your fearless help fixing up the spooky town. Your goal: help Lillian, Belinda and Rose prepare the town for Halloween by collecting as many decorations as you can. The more crops you plant, haunted mansions you build and more you decorate your farm the more points you’ll earn including new “Spook Points” to help unlock items like the unpredictable Frankenhorse and rare Chickenpire – a cross between a chicken and, you guessed it, vampire. But it doesn’t stop there! With Haunted Hollow, players under the decorating spell will compete with the FarmVille community to be dubbed the weekly “best decorator.” To compete, players can take a picture of their frightful farms and publish it to an in-game gallery. 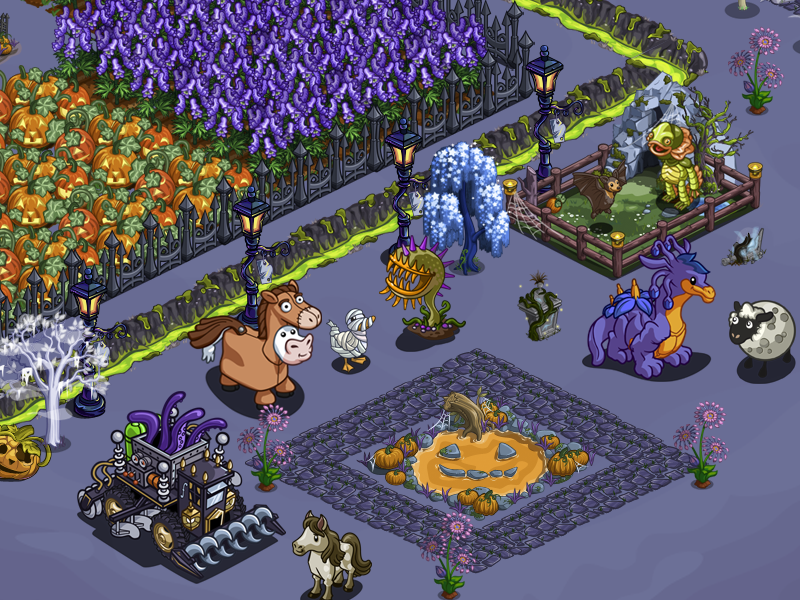 Voting is open to the entire FarmVille community and winners will receive bragging rights if they are featured as “Farm of the Week.” Think you have the decorating chops to have the spookiest farm in town? 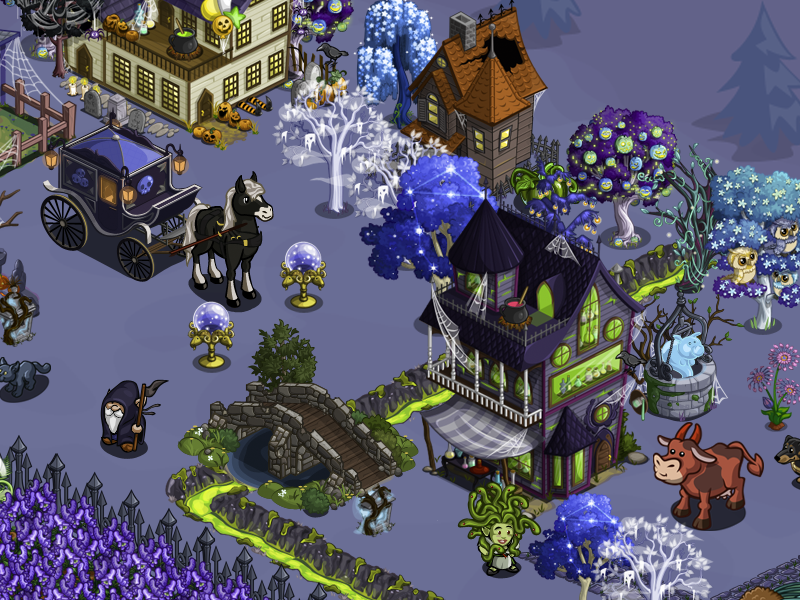 So get those decorations out of the attic and dust off your old witch hat – Farmville’s Haunted Hollow awaits. For 35 Farmcash, players at level 15 and above can unlock the early expansion here today. In addition, players who buy the early access will get a free spooky lantern tree! Regular access to Haunted Hollow will be available to all players level 15 and above on September 24th. New to FarmVille? Get started on Facebook at: http://www.facebook.com/FarmVille. 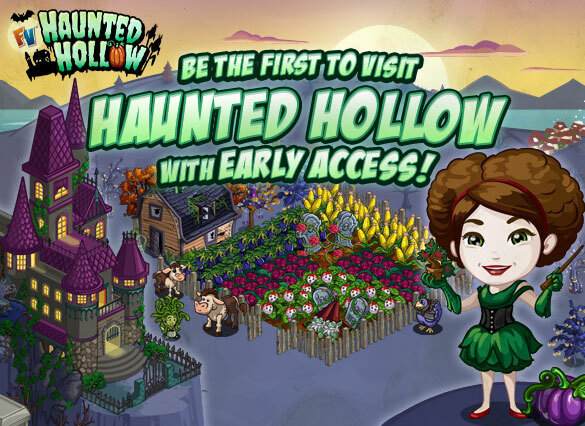 FarmVille players are always on the hunt for new and fresh ways to decorate and elevate their farms, and as FarmVille’s newest and 6th game expansion, Haunted Hollow underscores our commitment to bring our players new ways to enjoy the game they love!